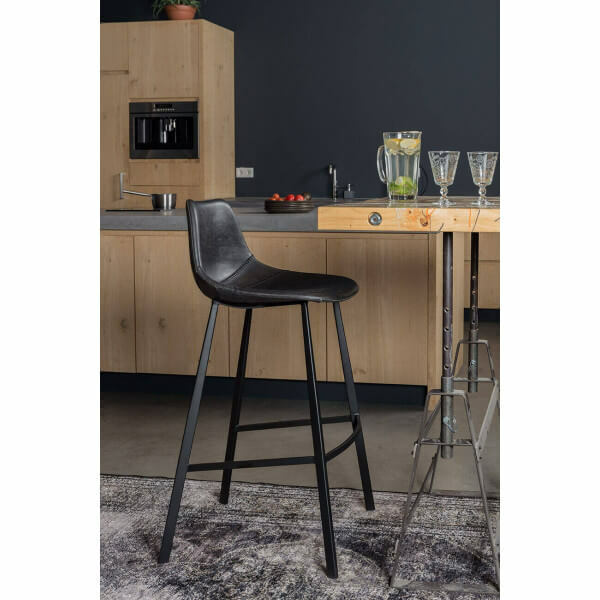 Franky The bar chair is a stool that combines modern and industrial design at once. Its comfortable seat is covered with a thick vintage leather look and quality. Durable synthetic leather intended for daily and intensive use. 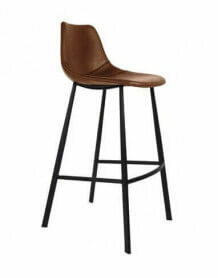 Clever mix of polyester and cotton, polyurethane to the appearance of a smooth and soft leather, is less fragile and easier talks.